Kazuyoshi Tatsunami began his career with a double and by the end of his 22 pro seasons had racked up more two-baggers than any NPB player before or since. “I wasn’t really much of a home run hitter,” he said. Not that it slowed him down much. After all, he might not have been a slugger back then, but he’s Hall of Famer now. 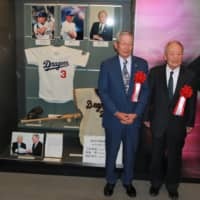 The former Chunichi Dragons great was one of a class of three elected to the Japanese Baseball Hall of Fame on Tuesday. “I wasn’t very big growing up,” Tatsunami said. “I was on the thinner side. But when I watched baseball, I saw players who weren’t big but were doing well. That inspired me a lot. 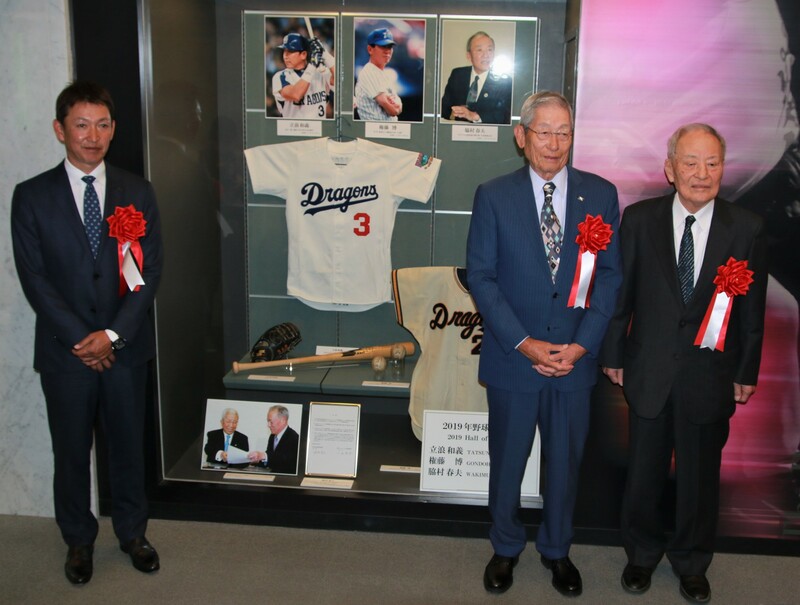 Tatsunami was joined in the Hall’s latest class by Hiroshi Gondo, another former Chunichi great and Haruo Wakimura, a former president of Japan’s high school baseball federation. Tatsunami was the only person elected from the Players Selection Committee, earning 77.4 percent of the vote to clear the 75 percent threshold for induction. Former pitcher Shingo Takatsu was the next closet, earning 60.6 percent. Gondo was elected by the Expert Committee, earning 76.7 percent of the votes to pass the threshold by two votes. Wakimura was chosen by the Special Committee. Tatsunami was one of Chunichi’s biggest stars during his career, which spanned 1988-2009. He was team’s top draft choice in 1987 after playing at high school powerhouse PL Gakuen in Osaka. Tatsunami was in manager Senichi Hoshino’s lineup at shortstop from Day 1 in 1988 and played 110 games for a Dragons team that would win the Central League pennant. The Settsu, Osaka Prefecture, native was part of four Chunichi pennant winners and was also on the 2007 team that won the first-ever CL Climax Series title. Tatsunami was named Rookie of the Year in 1988 and during his career was named to two Best Nine teams and was an All-Star 11 times. He won Golden Gloves at three positions, winning at shortstop in 1988 (as the first CL rookie out of high school to win), at second base from 1995-1997 and as a third baseman in 2003. He recorded his 2,000th hit on July 5, 2003, and at 33 years and 10 months was the youngest CL player to achieve the feat. Gondo was starring for the Dragons before Tatsunami came along, playing for the team as a pitcher and infielder from 1961-1969. Gondo as rookie was 35-19 on the mound, pitching 429⅓ innings and finishing with 310 strikeouts and a 1.70 ERA. He was named both the Rookie of the Year and the Sawamura Award winner. He was then 30-17 in 1962. His pitching career was cut short by injuries and he ended up with 82 victories in five seasons. He played some games as an infielder but didn’t accomplish much at the plate. Gondo overall made 210 appearances as a pitcher and 483 as a batter, where he finished with a career average of .206. Gondo was later a coach for the Dragons, Kintetsu Buffaloes, Fukuoka Daiei Hawks, and the Yokohama BayStars until 1998, when he took over as BayStars manager. He led the CL club to the pennant and a Japan Series title in his first year in charge. He was 219-186-2 in three seasons at the helm. “Hailing from Tosu, Saga Prefecture, I tried to do something special,” Gondo said. “There were a couple of years where I won 30 games. After that, I had some tough years because of injuries, but my patience paid off and I became a coach for Chunichi. “Then I became a Japan Series champion with Yokohama in 1998. 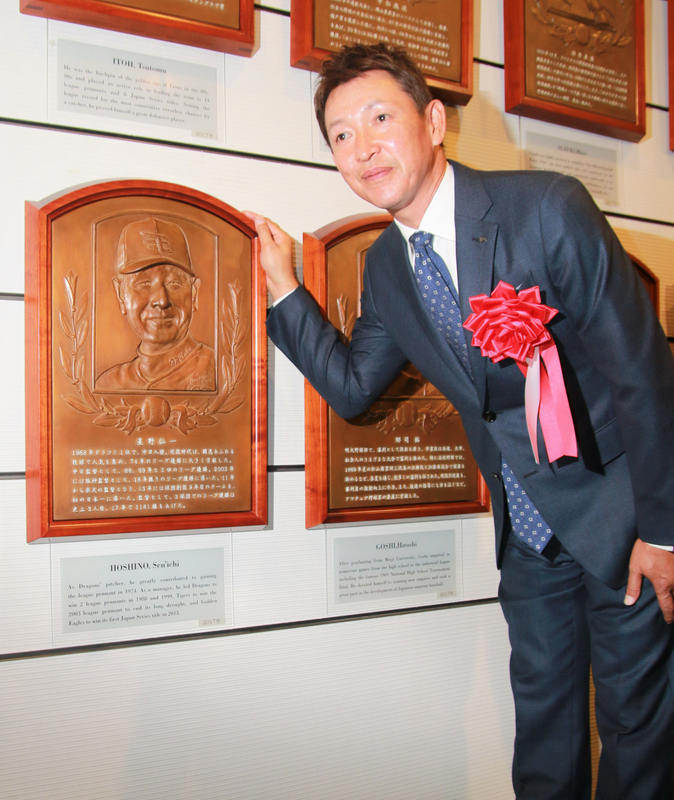 Wakimura was the Japan High School Baseball Federation president from 2002-2008. Wakimura was a player in his youth, winning the 1949 Summer Koshien title with Kanagawa Prefecture’s Shonan High School. It was under Wakimura’s stewardship that the formerly cool relations between high school baseball and the pro ranks warmed considerably.